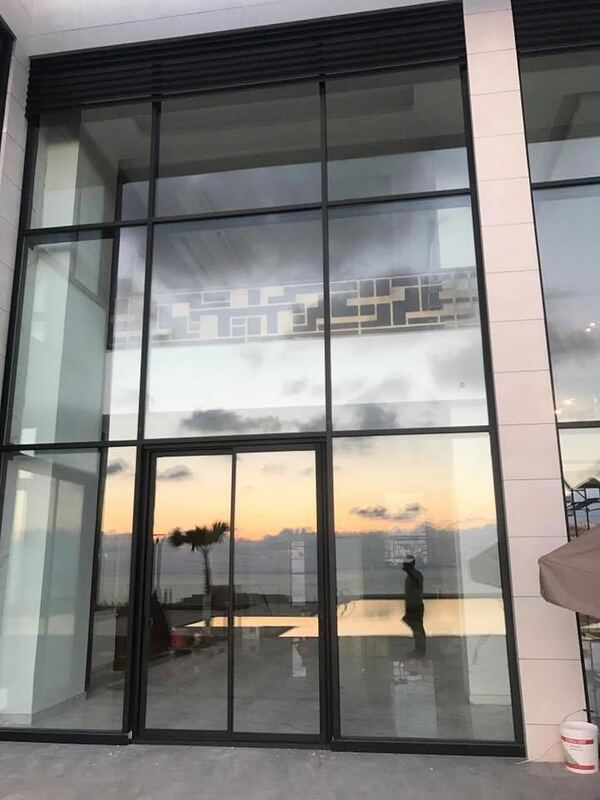 Once again Khadra Glass proves itself in the business of glass installation and in the use of glass products and techniques. 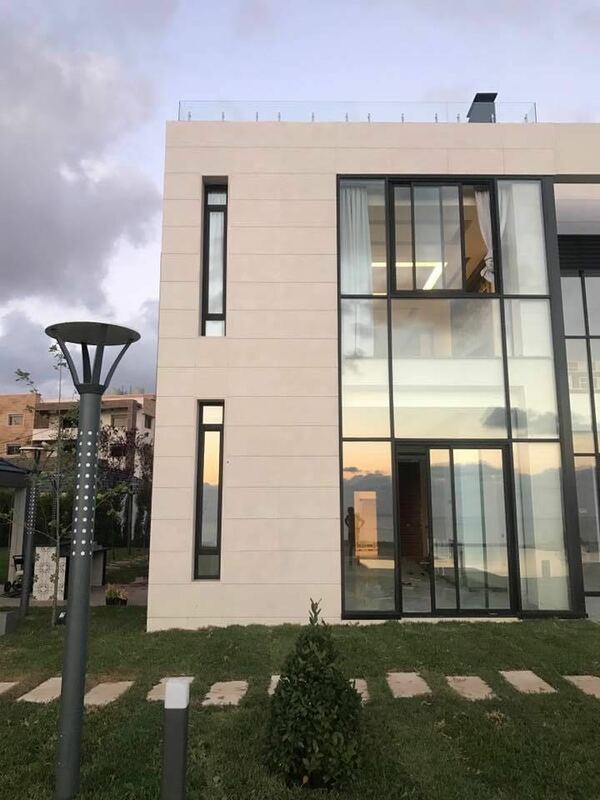 You can see this exceptional work in its newest project: the most prestigious, modern and developed villa in Kadmous Village, Jebil District: “The Modern Villa” for its owner Mr. Ali Ghzayel. 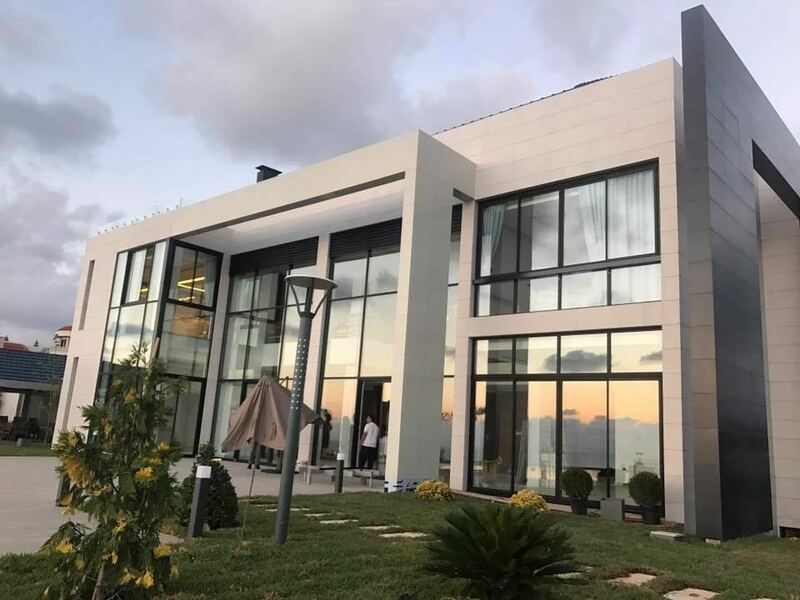 The engineer Mr. Hassan Cherkawi (03-856904) built the villa using the most developed technologies to provide a modern, secure and serene living. 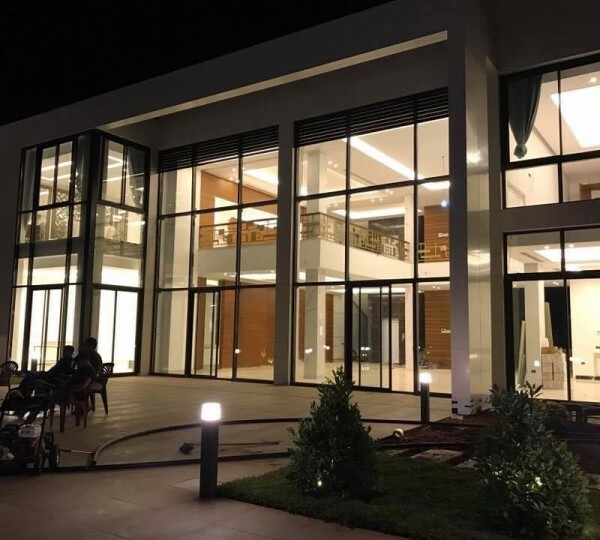 Modern Villa is a two floors villa of luxury built with the most developed techniques using the most modern and high quality materials especially when it comes to glass and aluminum. The Villa is surrounded by a large garden and private large pool providing the residents a life of serenity and luxury. 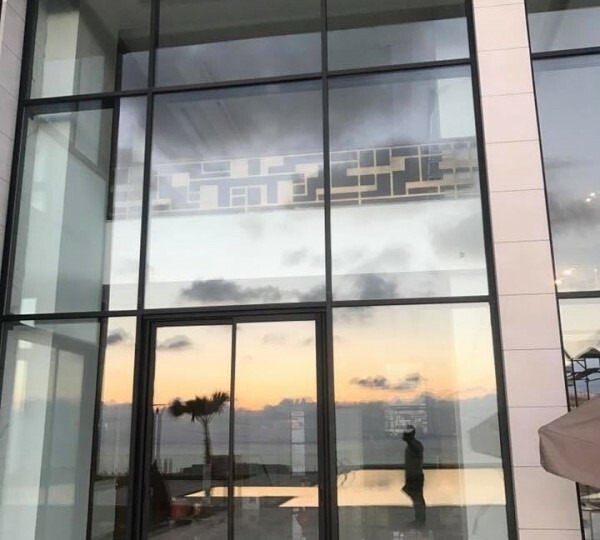 The villa has large curtain wall glass (meredeux) and foldable fly screen offering the perfect fusion of style and cutting-edge technology for your home and beyond. It has a children safety lock, an opening top clip, an opening handle and a wheel guide. 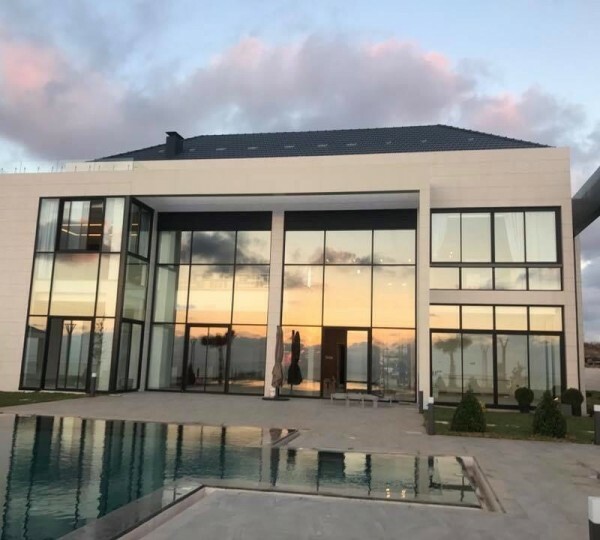 The glass balustrade surrounds the whole building it comes up from a u-chanel base and provides 100% uninterrupted view from all the villa corners and is 100% safe. 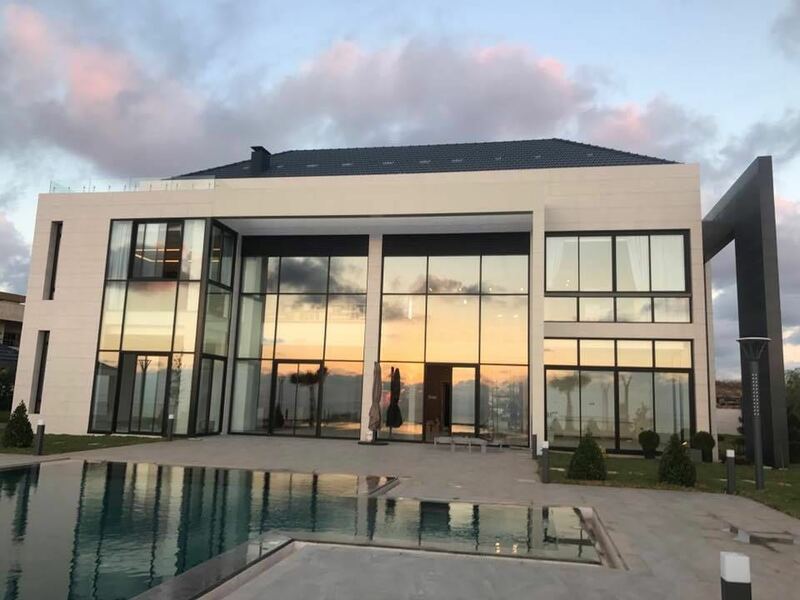 Furthermore, both sides of the villa have large louver of aluminum shutters to allow the ventilation and admit light an air while keeping out the rain and direct sunshine. 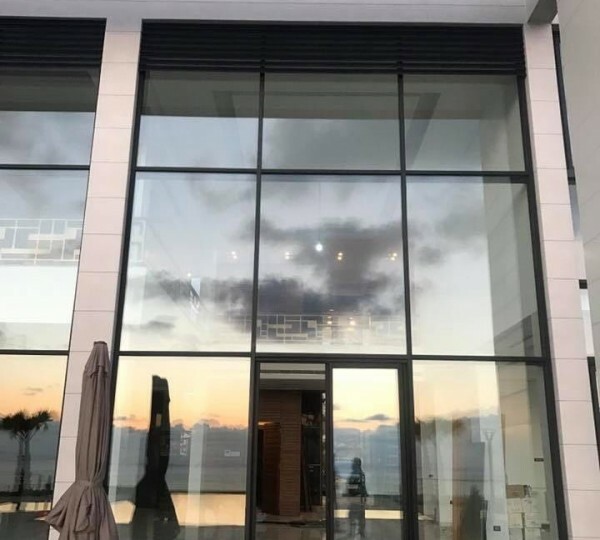 As mentioned above, only high quality materials have been used to provide lofty proficiency and the great standards of safety, for this purpose, top quality of technal Aluminum and Aluminum composite panel have been used. The composite panels are known for their top quality architectural wall cladding that can make all structures tougher and stronger. 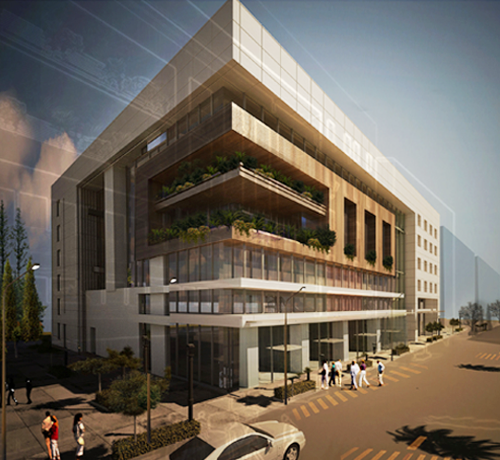 It gives as well exquisite designs to the exterior, and makes the interior ventilated, semi-ventilated, and air-tight. 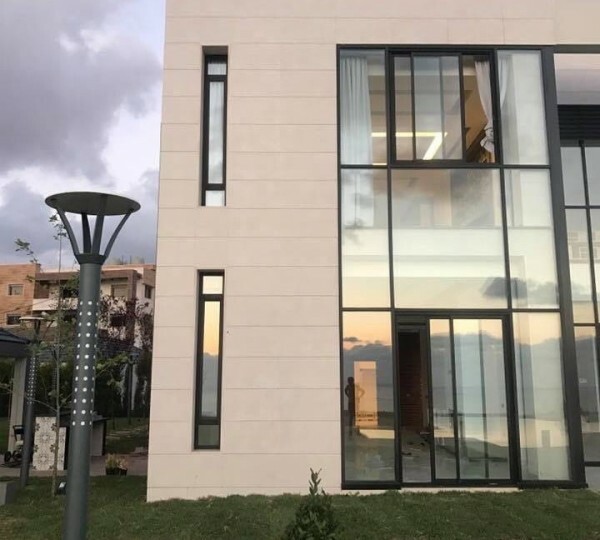 Furthermore, Khadra Glass applied the tilt and turn mechanism to all the Villa’s windows to provide excellent ventilation, especially that this feature suits restricted space and is easy to maintain. 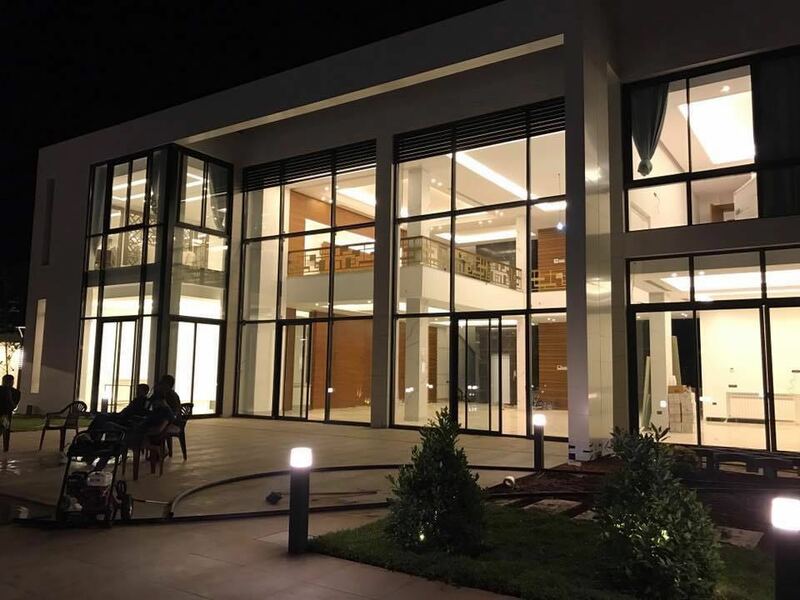 The Villa has one exemplary feature that distinguishes it from other residential construction in the area. 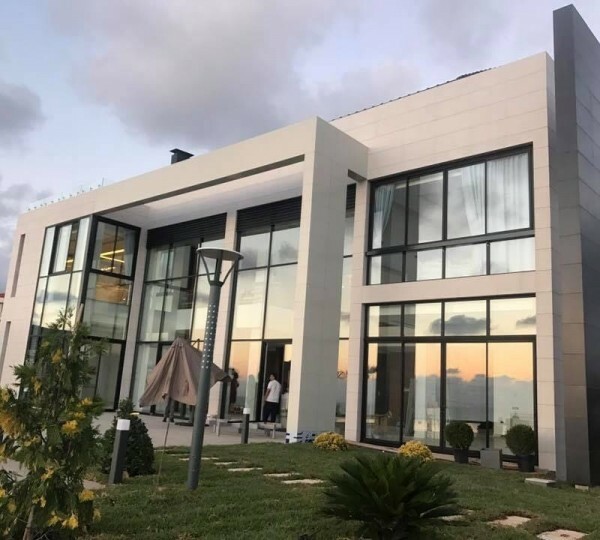 It has a spider system façade: a modern solution for securing and supporting the villa’s structures with sleek designs and fixations. 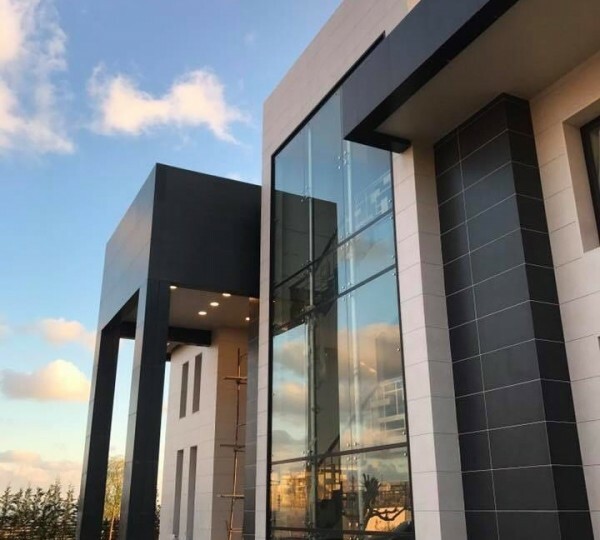 The facade provides the most durable and resilient glass aesthetic superiority and offers great transparency and unique designing solutions and it is guaranteed a very long service life of facade. The spider fittings are made from stainless steel and mirror polished for best protection against oxidation and corrosion. The mirrors serve as well as visual devices and direct the light and ocular experience of a building from the unnatural to natural. The interior of the Villa is magnificent. Khadra Glass implied the latest trends of modernity and luxury reflected in the shower cabinets in terms of painting, transparency and opacity effects. 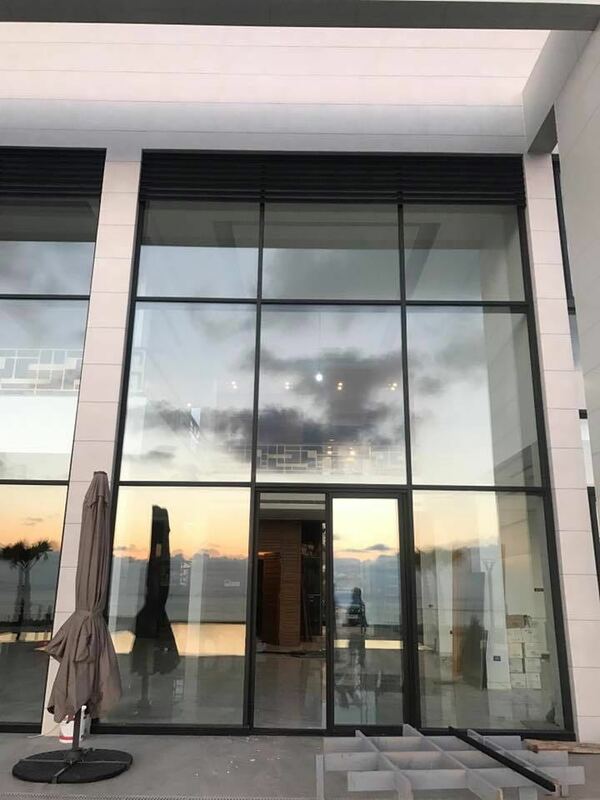 As for the glass showers they are unique and exquisite to suit the taste and style of the Modern Villa. The interior is distinguished as well by its glass staircase that links the ground floor to the upper level. 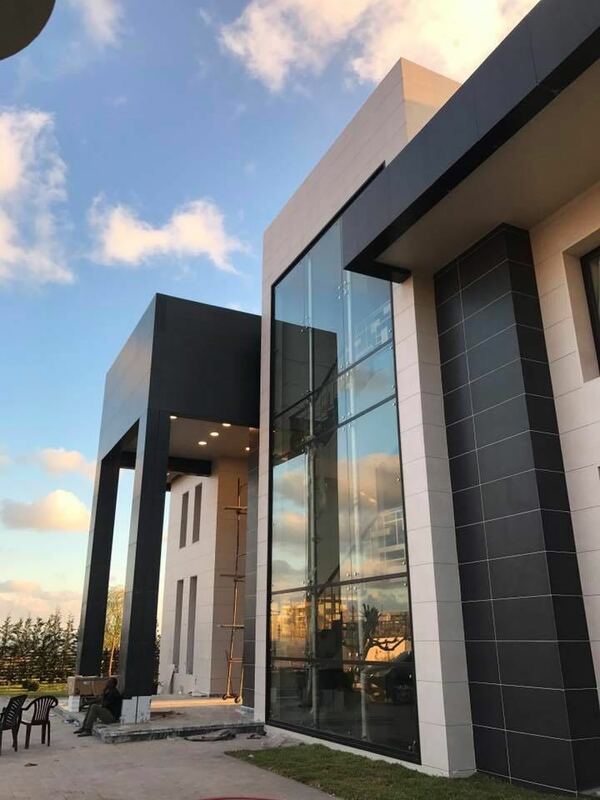 Despite the challenge provided by this feature, Khadra Glass is known in defying the impossible and providing the latest technologies. The glass staircase is completely safe and strong enough to hold its own weight and the weight of the people walking on it. 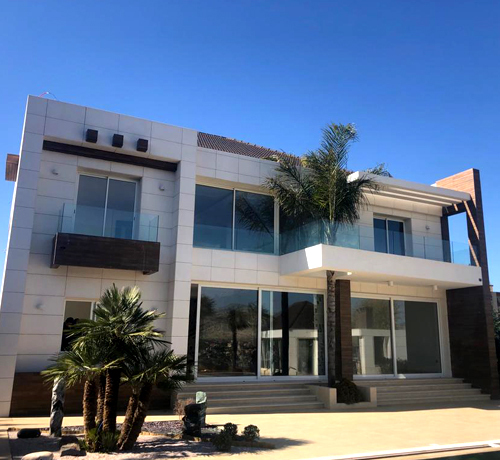 The Modern Villa is the future of all residential construction. 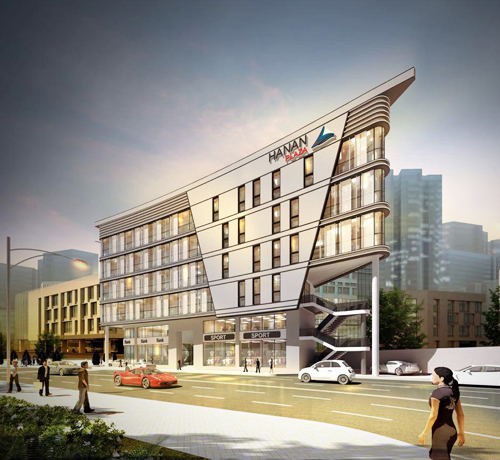 It is a genuine construction that reflects modernity, luxury and technology. Khadra Glass has exceeded all expectations once again to prove itself as a forerunner in this domain.